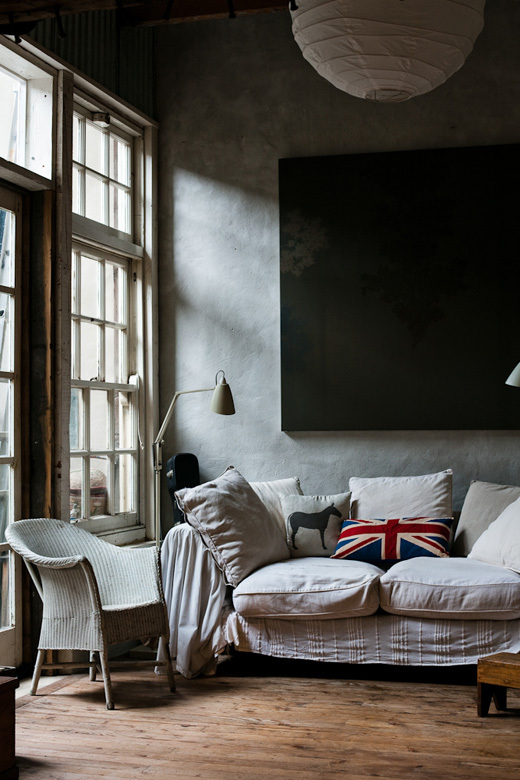 La Maison Jolie: House Envy: Adriane Strampp's Inner City Loft and Offspring! 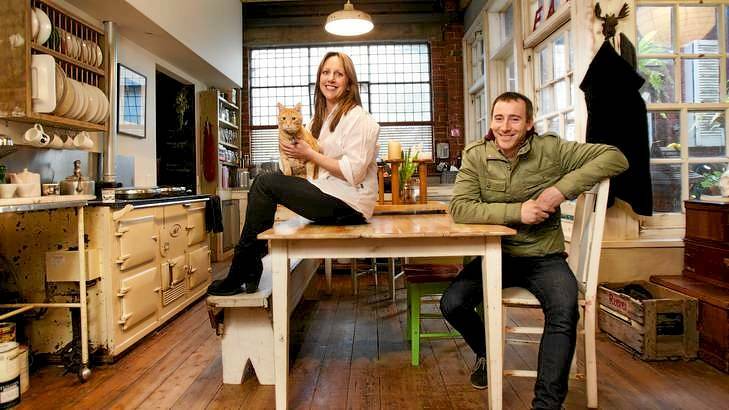 House Envy: Adriane Strampp's Inner City Loft and Offspring! A few months ago, we took a peek at the gorgeous new digs where Offspring's main character Nina Proudman was living in Season 6. 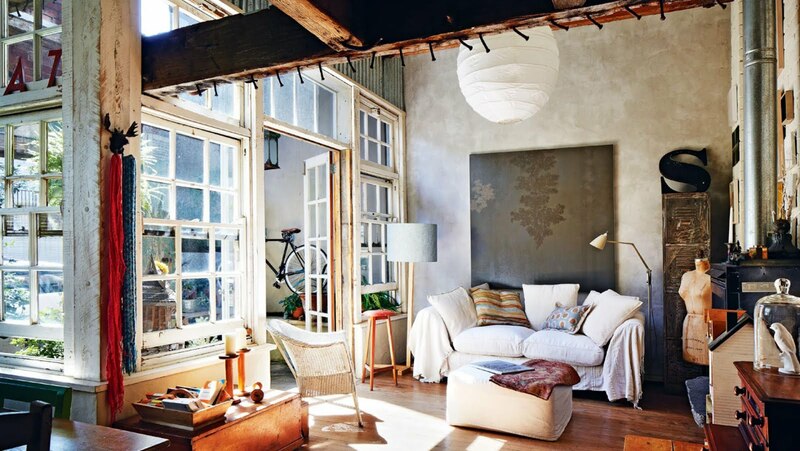 Today we're taking a walk down memory lane to ogle at Nina & Patrick's Fitzroy home in Season 3 through to Season 5 which is the epitome of industrial boho glam! Tucked away at the end of the eclectic suburb of Fitzroy, originally a coat hanger factory, this gorgeous renovated loft belongs to Melbourne artist Adriane Strampp and her daughter Lucy. Adriane is famous for her soulful abstract paintings, many of which have been featured on the show. 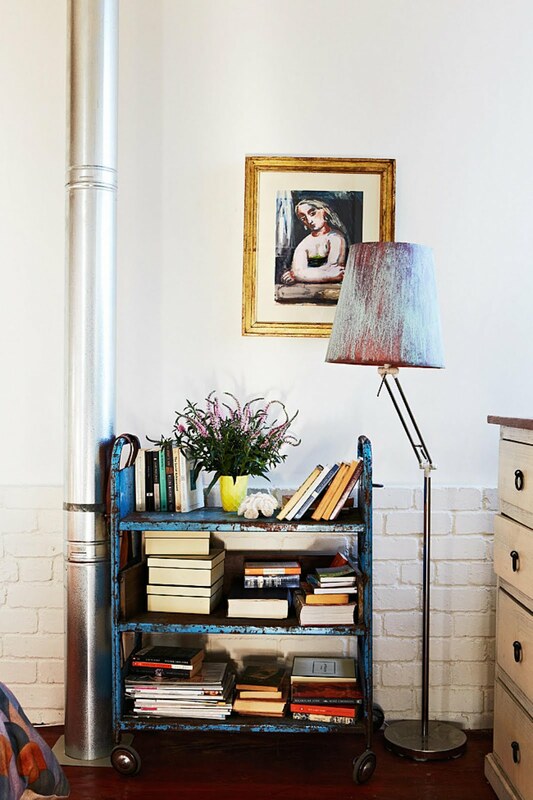 The whole house has a distinctive industrial yet intimate lived-in style that would have been a challenge to replicate on set without using many of the pre-loved pieces owned by Adriane. From the unusual green weathered front door to the vintage 'AGA' stove to the timeworn reclaimed window frames, every corner of this house is filled to the brim with quirky character and Adriane's original design style. 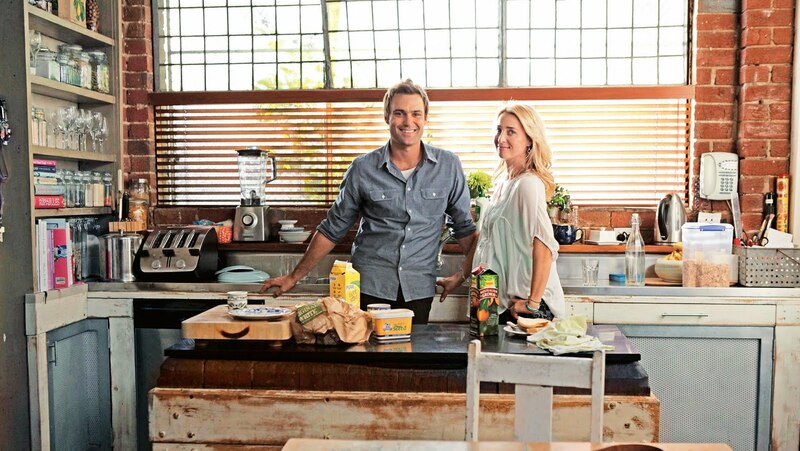 Nelson Khoury, Offspring's location manager had scouted thirty to forty houses before he chanced upon Adriane's renovated inner city loft that was ideal as Nina Proudman's quirky industrial abode on the show. The light filled rooms are peppered with eclectic artwork and layered with unique antiques and recycled furniture. However, the statement piece in the living space is clearly the spectacular painting Ghost Garden by Adriane. The recycled timber beams added to the loft during renovation creates an interesting and unique architectural feature in the lounge room both on and off camera and the neutral colour scheme of Adriane's home was the perfect canvas for the show's arty accents. The eclectic art gallery featured on the show is Adriane's own curated collection. 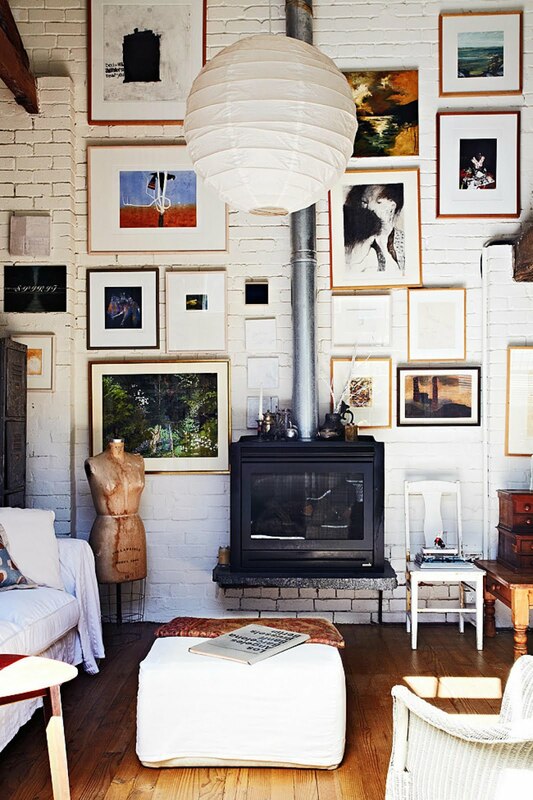 How perfect is the fireplace in this space? 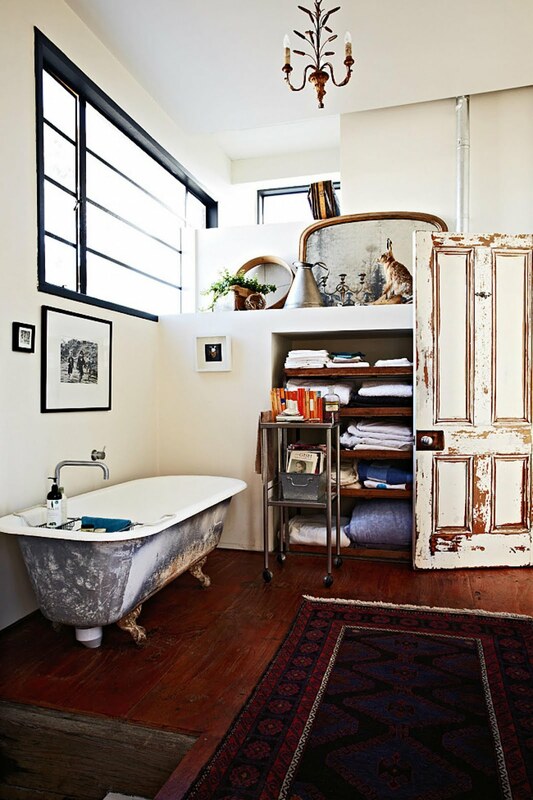 In the bathroom, the claw foot bath, the antique chandelier and the weathered timber door are standout features complemented by the contrasting black industrial window frames. The Offspring crew bought in the Rosetta Santaucci painting that hangs over Nina's bed on the show to add some colour to Adriane's bedroom and added the gorgeous scalloped bedspread. The exquisite painting now hangs in the master bedroom in Nina's new home in Season 6. 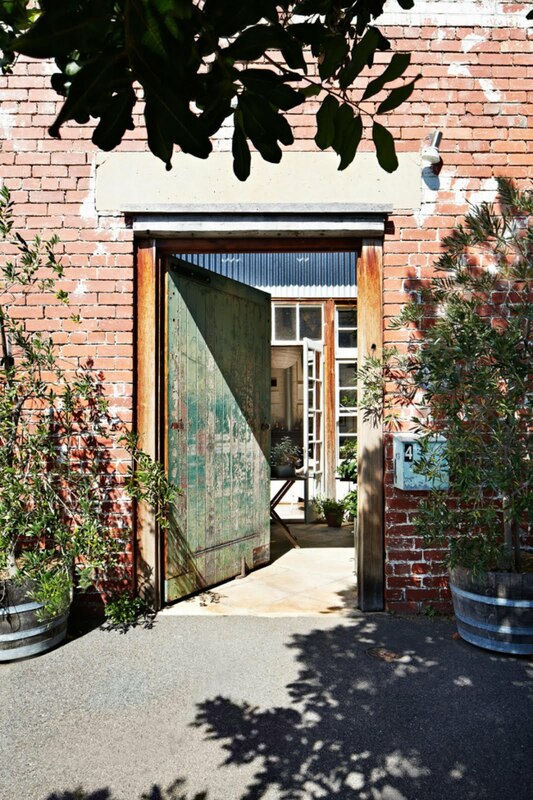 From just an empty shell to an unforgettable and cosy home, this renovated coat hanger factory has come a long way. Featured below is proud home owner Adriane Strampp with Offspring's location manager, Nelson Khoury in her gorgeous kitchen. Where Adriane Strampp's home ends, Offspring begins. One blends into another and all that is left is one envious interior! 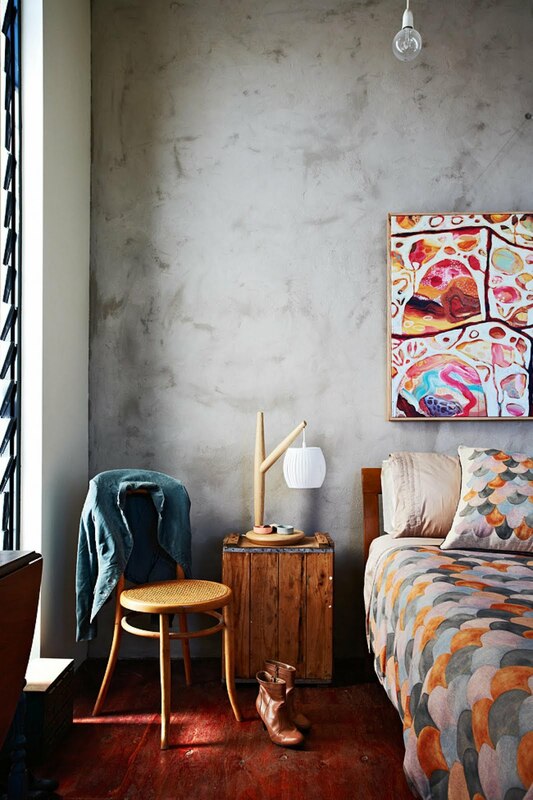 Though Offspring is no longer airing, the interior designs of Nina Proudman's homes featured on every season of the show will forever be desired by many. Till next time...watch those reruns!